On 8 July 2015 I travelled by myself through the Kermia border crossing to the north of Lekfosia. I met a lovely man there named Kudret, who took me to interview his mother, his Aunt and a close family friend. The first person I interviewed was Kudret’s mother, Sadiye. Sadiye was a gentle and kind woman who was fasting for Ramazan at the time of the interview. She welcomed me into her home and shared many personal stories of her life with me. Sadiye was born in 1949 in Alaminos, in the South of Cyprus, and moved to the north of Lefkosia (Lefkoşa in Turkish) in 1974 when the war broke out. As a child and young adult Sadiye spoke both Turkish and Greek; her father spoke fluent Greek she told me, as fluently as he spoke Turkish. She recalls that the village, although mixed, was separated by a river – there was a ‘Greek’ side and a ‘Turkish’ side. “The Greek side had electricity,” she said, so she would visit often to buy frozen fish and ice-cream. Sadiye recalls playing with her Greek Cypriot friends in the lush fields of Alaminos; it was in those fields that she learnt the Greek alphabet. She also remembers celebrating panayiris in the village with the Greek Cypriots and that many Greek Cypriots brought her and her family traditional Cypriot bread called flaounes (pilavunas in Turkish) for pascha (Easter). During the Turkish military’s air raids of Kokkina in 1964, several Greek Cypriots from Alaminos were killed. Sadiye, who was 15 years old at this time, was very upset: “I was crying and crying,” she said. She attended their funerals, but stayed in the garden and did not enter the church. Her father worked in agriculture alongside Greek Cypriots. “They would water the fields together,” Sadiye stated. However, she remembers that only the Turkish Cypriots of Alaminos worked with sheep. While growing up her identity when talking with fellow Cypriots was “Turkish”; however when talking to foreigners she identified as “Cypriot”. She now considers herself to be a Turkish Cypriot, as she interacts with more and more people from outside of Cyprus. 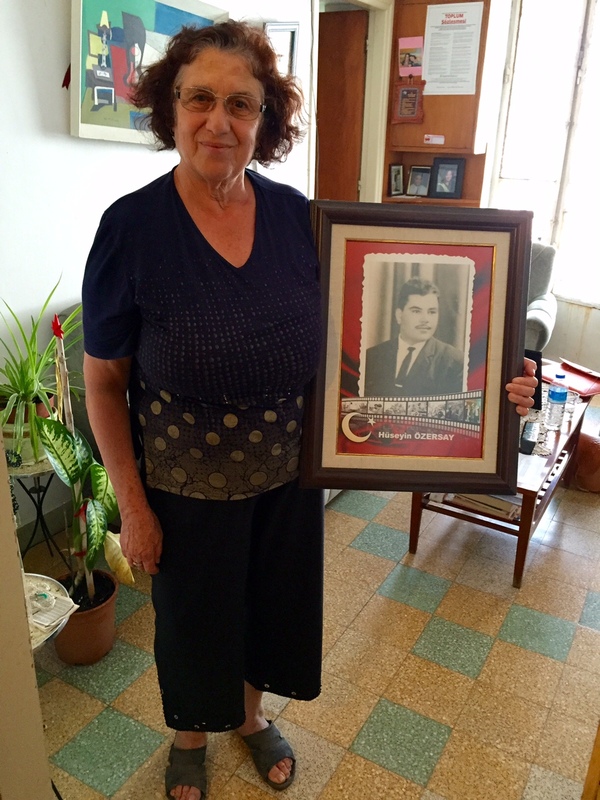 Sadiye completed six years of primary school and soon after, in the early 1960s, she recalls negative slogans about Turkish Cypriots circulating around the village. This was her first memory of tension between the two communities. She married in 1967 and had three children. Her husband was tragically killed during the 1974 war; she was a widow at the age of 25. Rather that moving to Değirmenlik (Kythrea in Greek) where the majority of Turkish Cypriots from Alaminos migrated after the war, she decided to settle in Lefkoşa. Her decision was founded in the desire to provide her children with greater opportunities for education and work as it was, and remains, the capital of both the north (as Lefkoşa) and the south (as Lefkosia) – the last divided capital of Europe. Her decision was worth it, as her children have risen to extraordinary heights. After the interview with Sadiye, Kudret and I visited his Aunty, Naile. Naile was born in Aglantzia/Aglandjia in the south of Lefkosia, which was once a Greek-Cypriot majority mixed town, however Turkish Cypriots and Greek Cypriots lived on separate sides. Naile grew up speaking both Turkish and Greek; “my parents spoke Greek better than they spoke Turkish!” she exclaimed. She mentioned that in her time, the Turkish Cypriots used the Greek language more than the Turkish language. I have heard from many other Cypriots that this was incredibly common before 1960 and even before 1974. 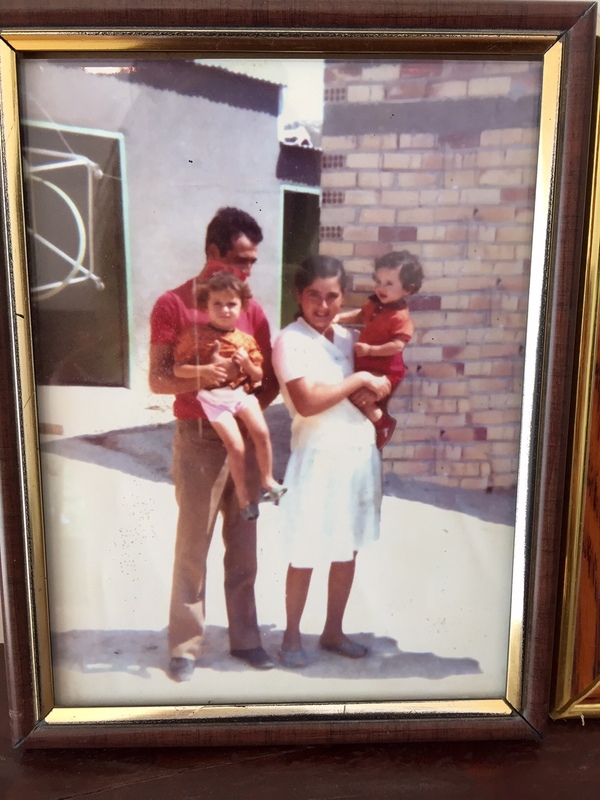 During the conflict in the 1960s, Naile and her family left Aglantzia and migrated to Alaminos. She met her husband in Alaminos and they married in 1969. She was displaced again in 1974 and migrated to the north of the divided capital – Lefkoşa. 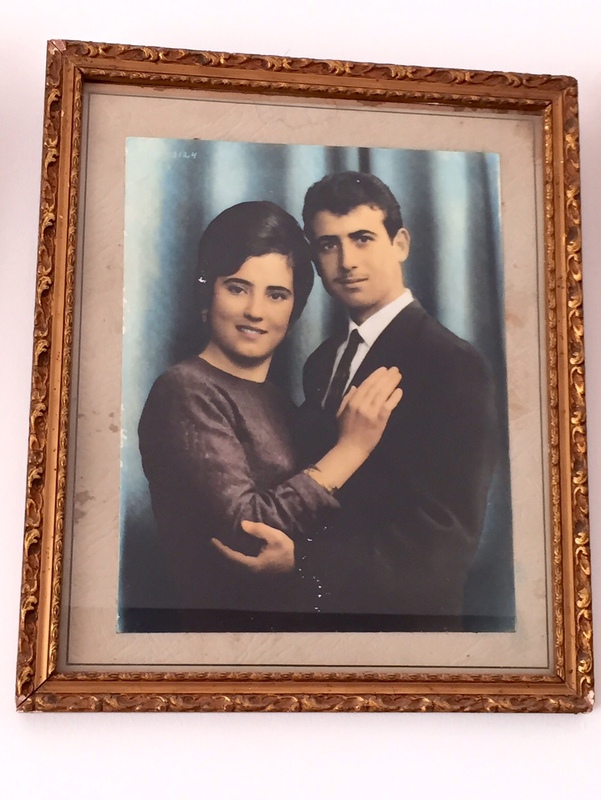 Naile recalls stories that she heard as a child of unwed Turkish Cypriot women who, in the 1930s, converted to Christianity to marry Greek Cypriot men. According to the stories she heard, these women were Linopampakoi, a term used to refer to Cypriots who adhered to both Christianity and Islam. Turkish and Greek Cypriot families who lived in houses close together in Aglantzia would attend each other’s funerals, weddings and other events. Naile and her parents attended such events and assisted with weddings by giving olive oil. Naile went to the town’s Turkish school for four years. “My parents did not let me finish. My brother said, ‘That’s enough, now you have to help me with the sheep.’ My parents were ignorant.” Before the Turkish school was built, the majority of Turkish Cypriots of Aglantzia, including Naile’s uncle, attended the Greek school. Naile’s uncle became a Christian later on but his family rejected him and became violent towards him. He eventually moved to the United States of America. Naile, who remained passionate about education, started a tailoring course. She unfortunately could not finish it as the 1963 conflict broke out and her teacher happened to be Greek Cypriot. The conflict occurring around her hindered her further education and training. Since the border opened in 2003, Naile has visited her father’s house in Aglantzia. She saw some of her old Greek Cypriot neighbours there; “We were happy to see each other”. Naile summarised her hope for the future of Cyprus in one word: “Security”.